"Excellant Work Done And Very Friendly Service"
"Identified The Problem And Carried Out The Repair Competently For A Very Reasonable Price." "Did A Good Professional Job With No Mess"
"Very Well Mannered, Did An Excellent Job. 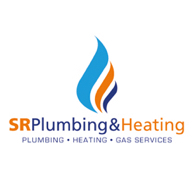 Would Recommend Him To Anyone"
"Clean Work, Very Friendly And Good Price"
Need a Plumber in Worksop?